New! UCFA’s Utah Architects Project, an online archive of the lives and work of Utah architects beginning in 1847, now includes a growing number architects from the mid- to late-20th century. You’ll not only discover new architect profiles, but for the first time you’ll find photos of the architects, design descriptions, maps showing building locations, and biographical narratives. The new postings include designers who created many of the now iconic mid-century buildings of Utah, including Neil Astle, William Browning, James Christopher, George Daniels, Ralph Edwards, and E. Joe Ruben. You will find that with these profiles, we step into firm practice, that is, the same buildings may be attributed to more than one person within a firm, as with Ralph Edwards and George Daniels. Design collaboration makes determining authorship impossible and unnecessary. Others profiled shaped the development of important Utah institutions such as Neal Stowe, who directed the Division of Facilities Construction and Management, and David Hayes who designed and oversaw the architectural development of many structures at Salt Lake City International Airport. To see one of these new profiles, go to www.utahcfa.org/search and enter the name of the architect. You will find only two women architects in the profiles–Julia Morgan (1872-1957) and Anna Campbell Bliss (1925-2015). Julia Morgan was a celebrated California architect who designed the original YWCA building in Salt Lake City in 1919, and Anna Campbell Bliss was a renowned fine artist in Utah whose career began as an architect in Minnesota. Women architects have risen to outstanding influence and prominence in the late 20th century and will be included as the researcher moves forward in time. We are focusing first on architects who were influential earlier in the 1950-present continuum and who are also either retired or deceased. Why is this collection important? Architecture houses our lives, it surrounds us on our city streets, and it affects us profoundly whether we think about it or not. The best of architectural work truly is art, and we acknowledge its cultural importance when we take visitors to our favorite places. The Utah Architects Project gives us insight into the evolution of architectural design in our state and a window into the cultural trends of the times. We hope it stimulates conversations about the art of architecture and the influence of design then and now. The Utah Architects Project is the result of a close collaboration between the Utah Center for Architecture and the University of Utah, specifically the American West Center and Special Collections of the J.W. Marriott Library. Graduate student researcher Chelsey Zamir is compiling the post-1949 materials with the guidance of American West Center director and historian, Dr. Gregory Smoak. Ms. Zamir cites all sources, allowing others to verify and research further. The UAP is copyrighted by UCFA and permanently archived with the University of Utah as a significant historical record. None of this could happen without the financial support of many individuals and firms. Please donate to the Utah Center for Architecture so that the important documentation of the Utah Architects Project may continue. This year, teacher Ashley Fricker at Draper Elementary began an after-school “Architecture Club” to involve kids in UCFA’s award-winning Educating Elementary Children Through Architecture (EECTA) program. Ms. Fricker had incorporated EECTA in her classroom curriculum at a prior school and believed it valuable enough to devote after-school time for the children interested in participating. She had over 20 students join in. EECTA gives students a hands-on opportunity to use their creativity to apply design, math, science, and communication skills to create their dream city. Architects from local firms and architecture students from the University of Utah volunteer their time to teach the children, with teachers providing classroom support, for an hour a week over eight weeks. 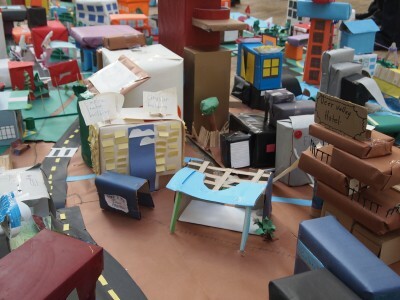 On April 20, 10 classrooms of 4th and 5th graders, including Ms. Fricker’s Architecture Club students, will join their squares of a city grid to create a giant “Box City” in the Urban Room of the Salt Lake City Main Public Library. Parents, teachers, students, architecture mentors, and community members are invited to the Box City “dedication” at 7:00 p.m. in the Library’s auditorium. Box City will be on display during Architecture Week, from Monday evening April 20 – Friday, April 24. Don’t miss the colorful future these kids imagine! 2015 EECTA Sponsors – We Thank You! Join us for presentations, tours, and the always wonderful “Box City” display to celebrate Architecture Week, April 20-25. All UCFA events are free and open to the public. This year, our theme draws from the great Thomas Jefferson, nation-builder and architect, who believed a new republic deserved a fitting civic architecture. We’ll have a free, public presentation Wednesday evening by historical and architectural experts that will take you from the theories of Mr. Jefferson to reflections on today’s sleek, security-conscious designs. 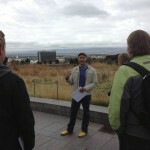 Friday afternoon, pick a walking tour of civic buildings in one of four cities–Salt Lake, Ogden, Provo, or West Jordan. Friday, drop by the AIA Utah office at noon to hear an informal, brown-bag presentation by University of Utah researchers on their discoveries about post-World War II Utah architects and their impact on our state. And don’t miss the colorful Box City created by over 250 elementary children filling the SLC Main Public Library’s Urban Room from Monday evening through Friday. Parents, students, teachers, architect mentors, and the community are invited to the opening Box City “dedication” Monday evening at 7:00. You can wrap up the week by attending the Utah Heritage Foundation’s annual Historic Homes Tour of SLC’s Harvard/Princeton Neighborhood. You can register for this ticketed event through their website. 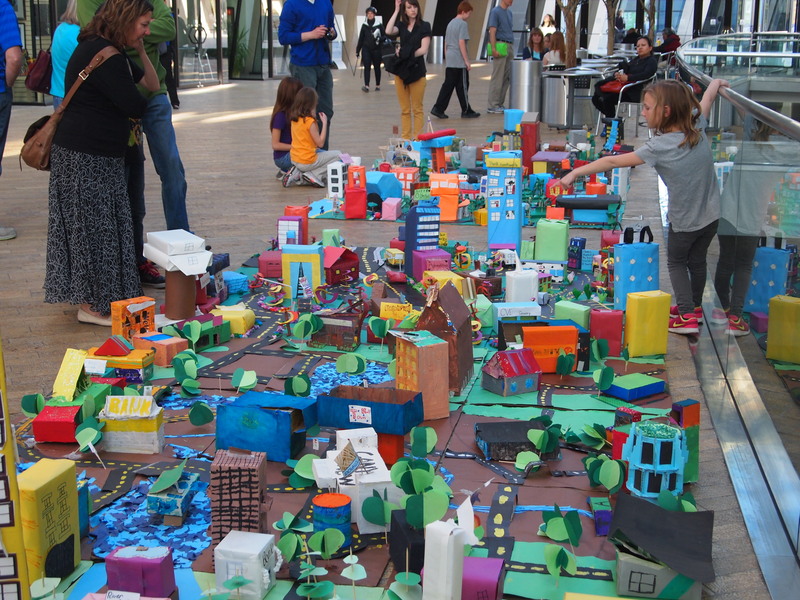 This spring, 200 school kids learned that building a dream city is easier when it’s made out of cardboard than from steel and concrete, but the principles of design still apply. 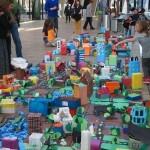 “Box City” — a miniature community of cardboard, construction paper and pipe cleaner “people” went on display at the Salt Lake City Main Public Library from Monday evening April 28. On Wednesday at 6:00 p.m., students, their families, teachers and architect volunteers will gather to view their miniature city and recognize the students’ accomplishment. The public is invited. “Box City” was created through a program called Educating Elementary Children Through Architecture (EECTA), developed by AIA Utah and now directed by the Utah Center for Architecture, a new non-profit group. Architects and architectural graduate students worked with the 4th, 5th and 6th-graders and their teachers to explore the basics of design, the physics of structure and the essentials of city planning. The program’s seven architectural lessons coincide with classroom curriculum and reinforce the students’ knowledge of math, science, social studies, and communication skills. The schools that participated include Canyon View Elementary and Oakdale Elementary in the Canyons District, and Highland Park Elementary in Salt Lake City. The theme, ‘This Is Where We Live,’ suggests embracing our surroundings as they are—the good and the bad, the picturesque and the banal, places with potential and places that need protecting. To that end, UCFA has organized or co-sponsored several tours and prepared a special exhibit directed to parents to accompany the unveiling of this year’s “Box City” by elementary school students. The tours are all very different. 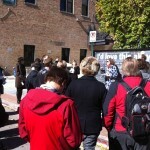 If you haven’t been to Ogden lately, take the “Reintroducing the Trolley District” tour of historic 25th Street and streetcar neighborhoods east of Washington Boulevard led by landscape architect Shalae Larsen and Sue Wilkerson. The Brett Donnelly Gallery in Ogden will be exhibiting ”Form, Space and Concept” an exhibit of models created by architects to explore concepts, ideas, and functions that ultimately are developed into habitable spaces. A tour of downtown Salt Lake City will highlight late 19th and early 20th century commercial architecture designed by Richard Kletting, architect of the Capitol. That will be led by architect Allen Roberts, AIA, a preservationist who has researched Kletting over many years. Compare the historic Cathedral of the Madeleine on South Temple with the newest Catholic church in Utah—the St. Joseph the Worker in West Jordan. Its contemporary design has earned the architectural firm state and regional design awards and reflects the people and history of this west-side parish. Architecture Week coincides with events marking the end of the College of Architecture + Planning academic year, and we invite you to see what the students graduating in the professional architecture program have achieved. All events are free, open to the public, and accessible. College of Architecture + Planning: Master’s Project Reception and Exhibit, Bailey Hall, University of Utah. Congratulate the graduating students and see their creative designs. Refreshments provided. “Box City” exhibit opens in the Urban Room of the Salt Lake City Main Public Library at 6:00 p.m. EECTA presentation takes place Wednesday, the 30th (see below). 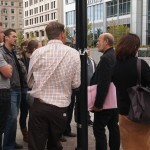 Walking tour of late 19th and early 20th century commercial buildings in downtown Salt Lake City designed by Richard Kletting, architect of the Utah Capitol. Meet in the courtyard of the Boston & Newhouse Buildings on Exchange Place at Main St. Led by Allen Roberts, AIA, historic preservation expert and CRSA president. Architectural and art tour of the Cathedral of the Madeleine led by a Deacon Lynn Johnson and architect Michael Stransky, FAIA. The Cathedral was dedicated in 1909 and went through an extensive interior renovation 1991-93. It is on the Utah Register of Historic Sites and the National Register of Historic Places. Educating Elementary Children Through Architecture (EECTA) Box City Awards presentation and new exhibit about design principles taught through EECTA for adults. Salt Lake City Main Public Library Urban Room and Auditorium. Box City closes. 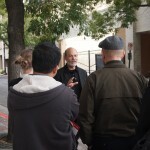 Walking tour: “East of Washington: Reintroducing the Trolley District” of Odgen’s historic 25th Street and original streetcar neighborhoods led by co-authors of Ogden’s Historic Trolley District Book, Shalae Larsen, ASLA PLA and Sue Wilkerson. Tour begins at Union Station. Co-sponsored by the Trolley Distrct Community Council. Refreshments provided. Exhibit: Brett Donnelly Gallery in Ogden hosts ”Form, Space and Concept” an exhibit of models created by architects and architectural students to explore concepts, ideas, and functions that ultimately are developed into habitable spaces. “Rethinking Sugar House Park”, a Jane Jacobs Walk, will be led by University Honors students who studied it in depth and recently shared capital improvement ideas for the park with the Sugar House Park Authority. The walk will allow participants to share ideas and re-envision the park (see map for tour route). Co-sponsored by UCFA. Walking tour location map. Tour of St. Joseph the Worker Catholic Church, completed in 2011, designed by Sparano & Mooney Architecture, at 7405 S Redwood Road, West Jordan. Received the Design Arts Award from the Utah Arts Council, an Excellence in Concrete Award from the American Concrete Institute, and Merit Awards from AIA Western Mountain Region and from AIA Utah. Architecture may be a very public art, but the architects behind even our most important buildings usually remain a mystery. 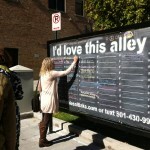 On October 17, the Utah Center for Architecture launched Phase 1 of the Utah Architects Project. This searchable database links architects with their significant buildings throughout the state, capturing 102 years of creative work, from 1847 to 1949. The next phase will expand this resource into the 21st century. To celebrate this roll-out, UCFA hosted a party the evening of the 17th at the Utah Heritage Foundation’s Ladies Literary Club in Salt Lake City in conjunction with Salt Lake Design Week. Anyone with a computer may search by architect name, city, building type, building name or time period. The database includes photos of the buildings and the architects, when available. While most of the buildings included are public, secular structures, the collection includes significant Mormon church buildings, religious structures of other faiths, and a few of the most important private homes. Important buildings designed by non-resident architects are included as well. The collection won’t end with 1949. The roll-out on the 17th launched the next phase to bring the database into the 21st century. UCFA envisions this collection will reflect the evolution of design in Utah from individual practitioners to multi-disciplinary teams, incorporate information about design trends, and allow for greater public participation. UCFA is seeking contributions to fund a Fellowship with the American West Center at the University for a graduate student to build the next 50 years of data and augment what is already in place with more photos and architectural descriptions. This graduate fellow’s expertise coupled with the oversight of academic historians and architects will assure that the Utah Architects Project remains a credible, vital resource. Although a project of the Utah Center for Architecture, it was architect Burtch W. Beall, Jr., FAIA, a much-honored member of the profession, who carried out the research over five years and donated it to UCFA. Beall’s gift of the Utah Architects Project to the Utah Foundation for Architecture in 2008 was the catalyst to re-think and then to re-brand the Foundation (the charitable/educational non-profit of AIA Utah that had become inactive) into the Utah Center for Architecture. New board members saw the potential for an online, searchable database that could be continuously augmented and improved. “The concept deepened from collecting the work of architects to showing the cultural value and impact of design,” said Bob Herman, AIA, UCFA president at the time. Many people have contributed countless hours to translate what was to become a book into a digital resource. No one has put more work into this than Burtch Beall himself. Architect Warren Lloyd, AIA, Rebecca Romney of Lloyd Architects, and Elizabeth Mitchell have devoted significant time to fixing glitches. Architectural historian Peter Goss submitted comments that have been incorporated. Randy Dixon from the Church of Jesus Christ of Latter-day Saints reviewed LDS Church religious structures. Super Top Secret, an advertising and web development company, while compensated for much of its work also contributed significant staff time and expertise to creating the UAP web design and platform. Check out the Utah Architects Project and imagine what it can become. Help us realize this dream to introduce the people behind Utah’s buildings to all of Utah’s citizens by donating to the Utah Architects Project. Just as explaining a joke kills it, you’d think cities getting into “tactical urbanism” would snuff the radical energy of people remaking a destitute place on their own. But reality is: who’s going to bring the dollars to fix up a trashy weed site if not the city? To suggest, however, that Salt Lake City is the initiator for either would be incorrect. Rather, designers, students, developers, academics and other citizens who have dreamed up catalyst projects, that is to say easy “interventions” that can demonstrate the potential of an area have earned some RDA funds to make them happen. Take Sugarmont Plaza. Prior to its recent make-over, it was a cracked, patchwork asphalt parking lot by a vacant thrift store building in Sugar House. Not trashy or weedy per se but a dead zone without immediate prospects for improvement. Current owner: Salt Lake City Redevelopment Agency. Aware of the City’s interest in tactical urbanism, Mark Morris of VODA Landscape + Planning and Amy Barry of the Sugar House Community Council submitted a proposal to turn the abandoned parking lot into “Sugarmont Plaza.” They brought in many “project affiliate organizations” who provided active and sidelines support, including the Utah Center for Architecture. 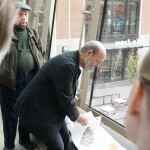 Morris is a landscape architect, current president of the Sugar House Park Authority Board and creative director for Friends of the Sugar House Streetcar. “We had two goals,” says Mark. “We wanted to make it a useful place, an active place for the community and also test public support for a plaza in this location.” The site is located at a critical juncture where the street car will eventually interface with Highland Drive. Their proposal was simple. Create a casual public gathering space by painting bright, geometric patterns on the pavement and filling it with inexpensive tables and chairs, similar to other tactical urbanism projects across the country. Add to the sense of place by commissioning an artist to design and paint a mural on the empty building identifying the plaza. Attract people with a bi-weekly evening food truck rally and other attractions, including live music. Morris and Barry also proposed adding informal signs throughout the Sugar House business district letting people know estimated walking times to nearby destinations. More people willing to walk now, they figured, would enhance street car success later on. With the RDA’s investment of $10,000.00 for hard costs and the mural creation, Sugarmont Plaza opened on a sunny Friday, June 14. 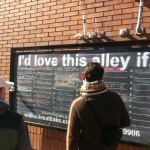 Tactical urbanism won’t fill every derelict corner of the city. Like the Sugarmont and Granary projects, the City will likely invest in places that can be catalysts for accomplishing multiple goals, e.g., improved public safety, economic development, building community spirit, and advancing neighborhood planning goals. That may be a lot for “lighter, quicker, cheaper” tactical urbanism projects to carry. Sharen Hauri, South Salt Lake City’s urban design director, does what she can to promote development of the four block South Salt Lake City portion of the Sugar House / SSL streetcar corridor. The City has a much smaller budget than Salt Lake City on the east end of the line, so it is building new improvements step by step, as funds are raised. Hauri has been getting the stage set primarily by leveraging partners’ resources and prioritizing where city funds go. One of the best partnerships is with the Friends of the South Salt Lake / Sugar House Streetcar and the Utah Center for Architecture. UCFA provided a modest grant to help underwrite the public workshop last October to generate ideas to make the corridor both an exciting public space and the basis for economic development. Hauri, the City’s project manager for the greenway, is now building on the vision from that workshop. “I have a summer intern doing modeling of designs for the redevelopment of those four blocks so we can develop guidelines and a form-based code,” she says. Hauri adds that the visioning process highlighted the importance of the 500 East corner and its potential for handling taller and denser development than first imagined. In the short term it will be filled with a community garden for a nearby housing complex that houses refugee families. One piece of the public greenway will be completed this year: Salt Lake County has funded the $1.25 million dollar development of Parley’s Trail for paving, landscaping and lighting through the South Salt Lake corridor.